THE MICROBLOGGING site Twitter has announced it is to set up an international office in Dublin – joining the likes of Google and Facebook who already have a presence here. The Industrial Development Authority announced this morning – via Twitter, naturally – that the microblogging site, which has an estimated 200 million users worldwide, was to set up an ‘international office’ here. Jobs minister Richard Bruton told RTÉ’s Morning Ireland that the new operation would be an “international office to support their growth”, and said it was a ”great win” for Ireland to secure the office. Ireland was now “the internet capital of Europe”, he said, with Twitter joining the likes of Google, Facebook, PayPal, LinkedIn and Zynga as some of the big names with an administrative function in Ireland. Bruton stopped short of declaring the premises to be a European headquarters, but said that irrespective of the status and size of the office, it would inevitably expand over time. He cited the example of Facebook, which had originally set up in Dublin with 40 jobs, and which now employed over 250 people. Google, which had an even smaller operation when it first opened in Ireland, now employs almost 2,000 people at its European headquarters here. In a later statement, Bruton said Twitter’s decision showed that “despite our difficulties, we still have real strengths as an economy, and it is important to acknowledge that”. The IDA’s Barry O’Leary said the decision to locate in Dublin would make Twitter a “fantastic addition” to Ireland’s digital media sector. It is not known at present precisely how many jobs may be created by the company’s Irish expansion. Dublin has been persistently mentioned as a longtime candidate to host Twitter’s European headquarters, though it has been heavily speculated that the HQ would eventually be set up in London, where it already employs a few dozen people. A spokesperson for Twitter said it would not comment on its plans for Dublin, but said the office would be “a great next step in the company’s global expansion”. 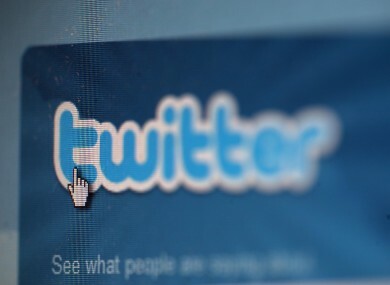 The Dublin operation will be Twitter’s third location outside of the United States. Twitter’s own recruitment website does not yet list any vacancies at at an Irish address. Documents creating a new company, named ‘Twintl’ and later renamed Twitter International, were filed on September 6. Among the company’s listed goals on its documents is “to carry on the business of an online media information network, and to engage in ancillary business services such as advertising, marketing and related support services”. Joanne Richardson of the American Chamber of Commerce Ireland said she welcomed the announcement. “The decision by Twitter is a welcome endorsement of the country as a location for Foreign Direct Investment,” she said. Email “Twitter to establish 'international office' in Dublin”. Feedback on “Twitter to establish 'international office' in Dublin”.